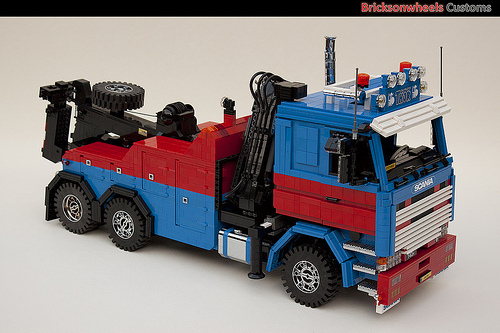 Bricksonwheels has a well-deserved reputation for building beautifully crafted trucks, cars and motorcycles. However, even the best trucks break down some times. “The Mighty Thor” will be on the scene in no time. This wrecker includes all the details that we’ve come to expect from this builder. It includes side hatches, safety cones, three-stage stinger and a crane. The chrome bits are always nice too. I’m really not a large scale vehicle fan but strictly from a modelling standpoint this is fantastic. there’s just so much increadible detail included in this rig.